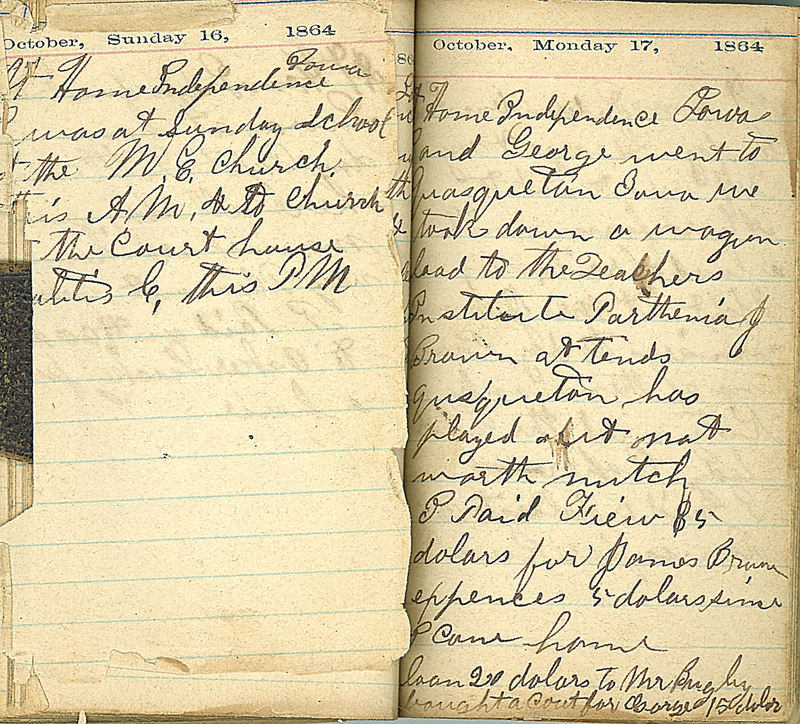 October, Sunday 16, 1864 At Home Independence Iowa I was at Sunday School at the M.E. church. this AM & to church at the court house [..atitis?] C, this PM October Monday 17, 1864 Home Independence Iowa I and George went to Quasqueton Iowa we took down a wagon load to the Teachers Institution Parthenia J Brown attends qusqueton has played a bit not worth mutch. I paid Fiew $5 dolars for James Brown expences 5 dolars since I came home loan 20 dolars to Mr. Bugby bought a coat for George 15 dolar.